Pride comes with legacy, and when you come to Yankee Harley-Davidson, you’ll feel the legacy that only Harley-Davidson motorcycles bring. The new Yankee Harley-Davidson is a family—bonded by a commitment to provide the best experience we can to everyone who walks through our doors. Positive changes are underway, and we are eager to share each moment with you. We want to earn your trust and friendship and be your go-to for everything Harley-Davidson. We expect the very best from our team of representatives, and we’ll ensure every question you have is answered and you receive the best possible service. We offer a large selection of new and certified pre-owned motorcycles at competitive prices. Feel the power, muscle, and ride that only a Harley-Davidson can bring. Contact us today to schedule a free test drive. What fuels your passion? If you’re a Harley-Davidson enthusiast, then you already know the sound of the engine turning, the rumble and the power you feel as you fly down the road, the freedom of driving the ultimate motorcycle—it’s all you’ll need to feel alive. Our passion for the Harley-Davidson brand, experience, and community fuels our fire. Our goal is to create an environment where you can learn from our team and share experiences with us and other riders. Whether you’re new to riding or are ready for your next great bike, we can deliver an unparalleled experience. We offer the latest 2019 models and prior years in both new and certified pre-owned varieties. We also offer the finest Harley-Davidson maintenance, repairs, and service in the area. We can answer your questions, provide cost-effective financing, and get you into the Harley of your dreams. Contact us today to find out how we can best serve you. So, whether you’re looking to turn heads and own the road or cruise across America in style, we have the makes and models you want for prices you won’t be able to ignore. We offer exceptional financing options that can work with most budgets, and equitable trade-in offers that will help make purchasing your Harley that much easier. We take pride in serving our clientele, and we’re happy to listen to you and give you guidance on a bike purchase that best fits your needs, your budget, and your appetite for power. When it comes to getting a handle on your dream ride, there’s no better choice, than Yankee Harley-Davidson. We see each of our clients as a member of the family. When it comes to owning a Harley-Davidson, it’s vital to know a trusted supplier who will not only answer your questions, but provide you with the quality parts, service, and experience you can only expect from a licensed Harley-Davidson dealer. We promise to provide you with unparalleled service, and we’ll strive to ensure you’re satisfied with your Yankee Harley-Davidson experience every time you visit us. No matter your tastes or budget, we’ll work with you to see you drive away in Harley you’ll love, and if your Harley is experiencing any issues, we’ll work tirelessly to see it fixed and ensure your ride is a smooth one. 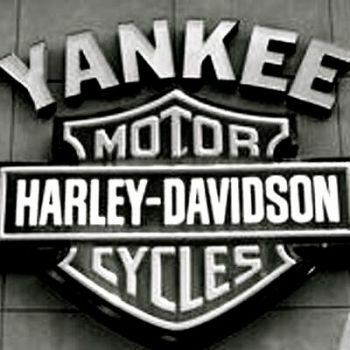 Let Yankee be your Harley home for life.